August is the worst month for a birthday. It’s hotter than hell. In most states, kids go back to school in August. Goodbye sleeping in, hello pre-dawn wake-ups. My younger sister sometimes showed up for the first day of school on her birthday. My mom usually had to delay her birthday party so they would be able to invite children from her class. If you have a child with an August birthday, you may have to grapple with the issue of “redshirting” him for kindergarten, or starting on time, making him the youngest in the class. My husband and I debated the August birthday/redshirt issue at length before we even had children. For various reasons, August is a month fraught with issues. So it makes perfect sense that I would marry someone with a late August birthday. I am drawn to this punishing month for whatever reason. My husband has not been spared from the wrath of August. Many of his birthdays have been spent on a cold submarine in the middle of the ocean, but that circumstance could have happened during a more reasonable month. Two of his birthdays immediately followed the birth of our second son and boy/girl twins (all born in late July). During those postpartum times, I was self-sequestered at home in a permanent state of disheveledness and recovering from two tough c-sections. Luckily, my mother-in-law saved the day last year, buying thoughtful gifts, wrapping them beautifully, and picking up a quality cake from a great bakery. Despite the chaos of newborn twins, my husband Alex seemed to enjoy his celebration, especially with his mother visiting from afar. The day felt special and a brief respite from the pool we were drowning in daily, caring for newborn twins. This year I had no excuses (well, other than two demanding 12-month-old babies). 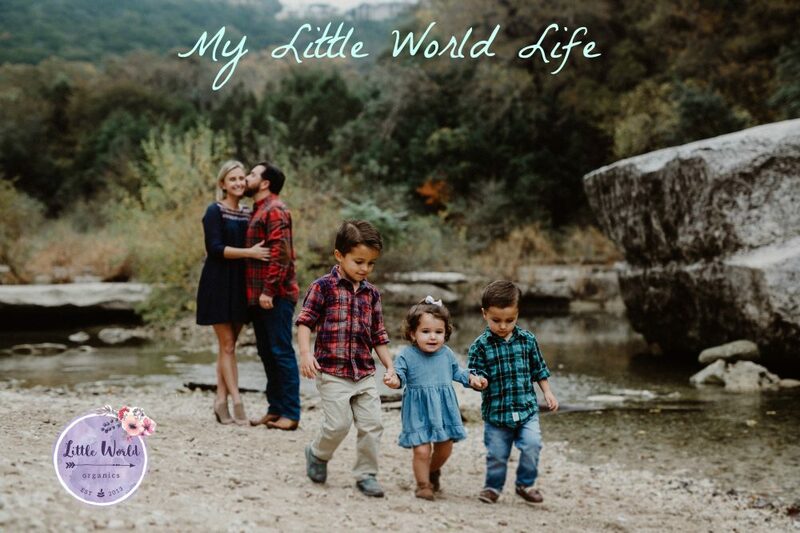 We had just moved cross country to Midland, Texas, and with the older children in school and the little ones in care while I worked remotely, I could venture outside the home, buy gifts and even balloons! This year would be the one to make up for the past birthday failures. We had only been in our new home about two weeks when I started buying presents I thought he would enjoy—Texas Longhorn fan gear—a car decal for his new truck, a Texas shirt, a ball cap for the field, a bottle of quality bourbon, a nice pair of Longhorn dress socks. I got a recommendation from a local for a quality bakery and placed my order for a birthday Bundt cake, something unique and new to try. This birthday would be one for the books! The big day for my husband arrived, and I began to complete the final touches. I had the children sign (and decorate) a heartfelt card for their father, and I found a humorous one that seemed to match our current state of chaos. I picked up a bouquet of balloons from the store, a family tradition. I decided on a restaurant for dinner, which did not accept reservations, but I figured if we arrived early enough, we should be able to get a table, as it was mid-week. The day trudged on, and finally it was time to celebrate. I could tell Alex liked the balloons, and the tidy array of tastefully decorated gift bags and cards looked festive on our kitchen table. We gathered up our large brood and called the restaurant to inquire about a potential wait. They informed us that there wasn’t currently a wait, and a large table was open. So far, so good! We arrived at the dinner spot, a place we had been dying to try on advice of our realtor since arriving in West Texas. I could almost taste the tequila of the margarita in my mouth. We approached the hostess stand where we learned that there would now be a 30 to 40 minute wait. Apparently others had showed up in the last 15 minutes. Okay, that’s just Midland, we thought, and amiably took a seat in the warm glassed-in waiting area. The kids were holding up okay, some on their electronics, and we fed the babies some puffs. After about half an hour, I sauntered back over to the hostess stand, where a host told me that the wait would be at least another 30 to 45 minutes. “But we’ve already been waiting 40 minutes,” I protested lightly, “and I saw a six top table available.” The host informed me that the table must have been for someone else. “Is it because we have children with us?” I asked somewhat rhetorically. “I don’t know,” he responded, “I’m new.” Huh?? So you’re saying we may possibly never get a table because we have children in tow? Couldn’t they have told us that from the get go and saved us all a lot of time? I marched back to the waiting area and informed Alex of the latest development. “We may never get a table,” I lamented, “They’re going to make us wait until we just give up!” Alex, not one to take things sitting down, returned to the new employee to discuss things further. He returned a few minutes later and abruptly said, “Let’s go.” Apparently he’d christened the new host with a few choice words, and the next time we visit the restaurant, Alex will need to wear a disguise for us to get a table. Not willing to give up, we headed back to our car and pulled up Yelp. I found another Mexican restaurant with excellent reviews—all 5 star!—and we headed to our new destination. We drove through downtown, across the highway, and found ourselves next to a junkyard. And here our new dining location stood. “Oh wow, it’s a junkyard,” the kids exclaimed, either sarcastically or with genuine excitement, I’m not sure which. I hope this restaurant has a liquor license, I thought, not wanting a “wine-a-rita” style drink. “It looks small,” another helpful child chimed in. We headed inside to a cute mom and pop type restaurant with red and white checked table cloths. It was charming in a kind of minimalist, Dollar Tree sort of way. A kind woman greeted us and directed us to our table, right under the window AC unit. She cranked it up to dispel the heavy heat surrounding us. Getting right to the important stuff, I asked if they served margaritas. “Oh no,” she said, crushing my soul, “we don’t sell alcohol.” I helpfully offered to Alex that we could buy margarita supplies on the way home from the drive through liquor store. “Well, we have a table and no wait!” I said cheerfully, “These ‘hole in the wall’ places are the best!” The nice lady brought menus with photos of food and no prices. I ordered the mole enchiladas, and they were honestly some of the tastiest I’d ever had. The mole was perfect and probably an old passed down family recipe. At the end of our meal, the waitress brought Alex a slice of cake, and we, and a few other patrons, joined in to sing Happy Birthday. Things were looking up! The next day, we devoured the chocolate chip Bundt cake, and Alex opened up his Longhorn curated gifts and read the thoughtful cards. He seemed genuinely happy, and I didn’t even mind the cream cheese icing (too much). We laughed at the irony of the Facebook picture I had posted for his birthday of him wearing a sombrero and imbibing a huge margarita with a big grin on his face. “Everything’s bigger in Texas!” someone had commented. “Enjoy the margarita!” another had said. Well Facebook is a big fat liar. That huge margarita was consumed months ago in Florida! Alex has (half) joked before that he’s the lowest in priority on the totem pole—behind the kids and the dogs—but this super dad deserves a birthday for the books. I’m already planning next year’s. What could go wrong in Vegas? !